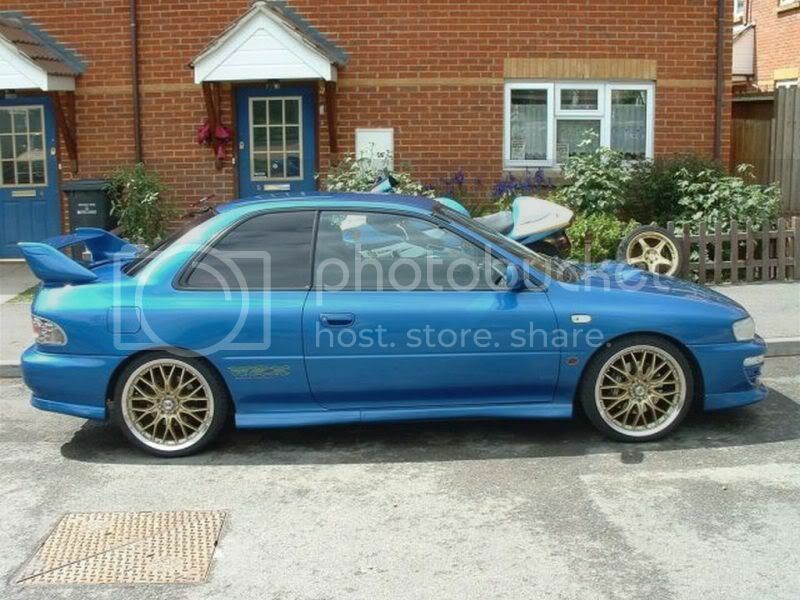 The first place for finding out what the best Impreza made is all about. Let us know about yours, also worth knowing:- Mods, re-map etc. This is my STI 5 Type R v-ltd.
Bought in May from Japan. It has a trust system and K&N panel 297bhp on P.E rollers. Out side are clear lenses and an STI 6 front lip. 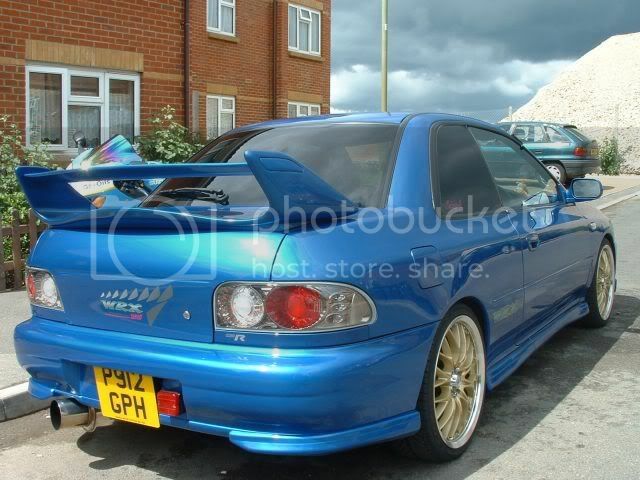 Mods - Scooby mania twin dump down-pipe, 5Zigen fireball centre and backbox, Ram-pod induction kit and soon to be Tek 3. Exterior - Mini-scoop, Revolution splitter, Twin head lights, splash guards, de-tango'd and Sr500 alloys. ALL VERY NICE MOTORS INDEEEED!!!! HKS Silent Hi-Power Exhaust:p, TSL Group A downpipe, Green panel filter, BRD/TEK 3 c/w 3-port solenoid, IHI VF34 turbo:D:D:D:D:D:D, Walbro fuel pump, PowerStation Bumpsteer Mod, Brembo GT brakes, Team Dynamics Racing Pro-Race 1 wheels, Crystal front indicators, Clear side repeaters, STi pedals, KartBoy knucle shift knob, STi Ltd rear badge, Defi Boost, Oil Temp & Oil Pressure Link Meters. this is gonna be a great thread, come on the blues cant win?!!! there must be some more smashing examples of Type R's out there! Col stone - Have you had any problems with the Forge dump valve on your car? Hi simb 2! not had any problems with the D.V it's got the standard blue spring in it, i've got a red one but as only running standard boost it's fine as it is. Have you had problems with one? Col stone - Its just I heard they can make the Sti's over-fuel. 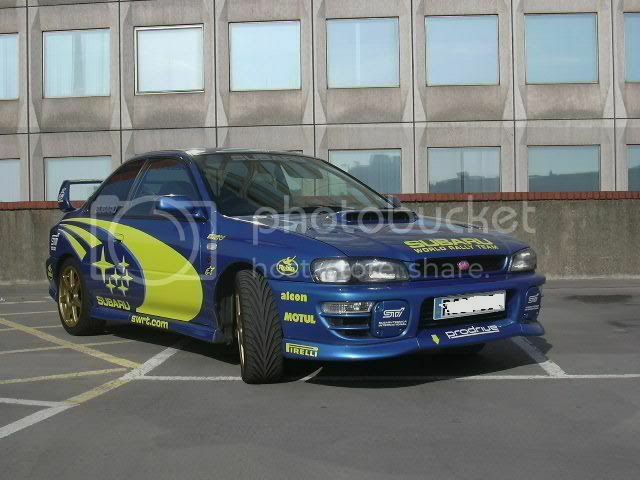 I have'nt got one on there yet, but will be putting one on there once the car goes in for the Tek 3 re-map. i have a forge on mine, and it seems fine. if you come off power at high revs sometimes it seems a little jerky when the dump valve breathes out and you get the psst, but i dont think thats a DV issue. i love the sound of it!! do you guys all run with octane booster? I used to run Optimax/Super Unleaded + NF Booster, but I have had it mapped for Optimax only. Beautiful looking cars lads !!!! 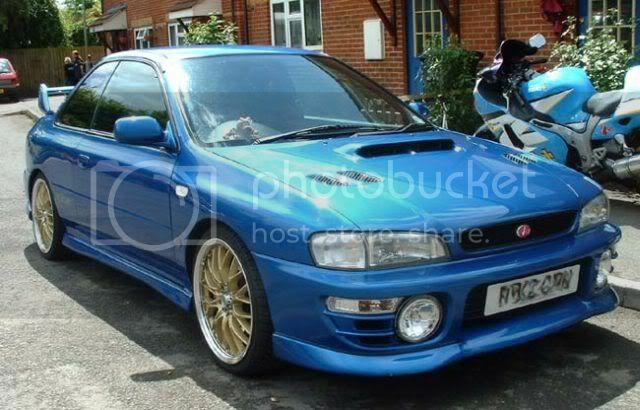 I was desperate for a Type R when i was looking for my scooby, finally settled for an RB5 as your type was so rare and good ones were rare as hell. 308bhp ([email protected]) / 310lbft on Optimax and NF. 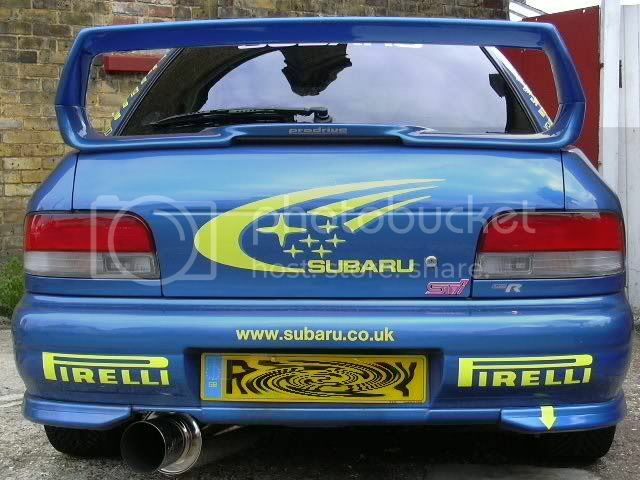 Scooby Drew, what this STi Ltd edition rear badge you have? any photos? STi Inverted mono-tube strut suspension.